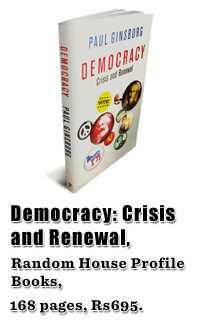 Indeed, it is idealism that animates Democracy: Crisis and Renewal by the historian and political theorist Paul Ginsborg, because, statistically, democracy is not in crisis but is flourishing like never before. In 1926, Ginsborg writes, only 29 countries in the world had broadly convincing democratic credentials, but by 2000, 120 of the 192 nation-states of the UN could be said to be democratic. Communism, the greatest adversary of liberal democracy in the 20th century, has collapsed except for one or two tenacious redoubts. 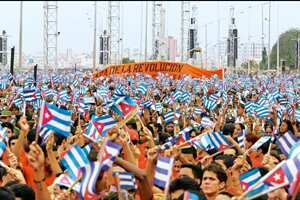 Even though various kinds of dictatorship still prosper, democracy still takes a step forward every day from China to Cuba. The crisis, then, that Ginsborg discerns in many of the world’s established democracies (among which we should include India) comes from within. To elaborate on it, Ginsborg summons the spirits of 19th century contemporaries John Stuart Mill and Karl Marx, two of the greatest modern political thinkers. Although neither man stood for democracy as we understand it now, both were integrally involved in the project to make all men and women “active subjects in both politics and society", and much of what they had to say with respect to democratic ideas remains relevant to present circumstances. In Ginsborg’s reading, democracy is being undermined by a complex of interrelated problems. First (and this is a kind of paradox), liberal democracy has its roots in 19th century European liberalism, which held that every adult citizen deserved, on the one hand, greater autonomy and private freedoms, and on the other, a right to vote and participate in representative government. But in many modern nation-states, politics and the political class have now become excessively professionalized; at the same time, citizens have retreated into the private sphere, and are often involved in politics only to the extent of bemoaning its quality. Thus, democracy has been “hollowed out"; it is not vigorous, but operates on a kind of autopilot. It is representative, but not participatory, when ideally it should be both. Second, consumer capitalism has profoundly affected the rhythms and emphases of our lives, which are increasingly organized on a work-and-spend axis. The better-off classes are rich in comforts but often perceive themselves to be poor in time; the logic of choice and self-interest, while beneficial in many ways, has produced “an extraordinary passivity and disinterest in politics". This crisis was foreseen by thinkers such as Benjamin Constant, who wrote in 1819, “The danger of modern liberty is that, absorbed in the enjoyment of our private independence, and in the pursuit of our particular interests, we should surrender our right to share in political power too easily". Lastly, in many of the world’s mature democracies, politics and big money have joined hands, and election spending has spiralled to preposterous levels. This not only makes a charade of democracy’s putative egalitarianism, it also makes it vulnerable to the Marxist critique of the state, which charges it with being the preserve of a particular class and of economic interests. The “classic liberal distinction between the political and economic spheres", of the kind maintained by Mill and today by his more determinedly ideological modern-day followers, can ignore serious issues about the relationship of democracy and economics. Ginsborg tries to present answers to these problems at a number of levels, and his book closes with a thrilling dialogue in which Mill and Marx are seen carrying on their running debate from “a cloud somewhere over Europe". Just as virtue is proved not by theoretical knowledge of the good but by good actions, says Mill, so too democracy, which we understand to be “virtue in its political guise", can be established only through regular practice at big and small levels. Ginsborg’s book demands that we be not just subjects but also agents of democracy.